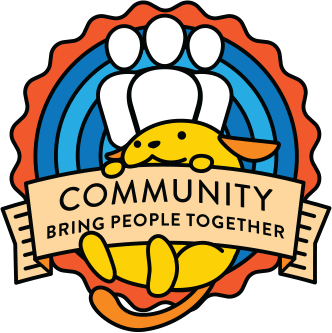 As you all probably know, the global community team recommends a flat organizational structure for local WordPress community groups. Because open source projects depend on a large, diverse group of contributors to collaborate and iterate quickly, we encourage that community organizers “always be recruiting” (and welcoming, and training) new leaders. When there are lots of people with leadership experience in a community, local organizers can take more breaks and avoid burnout. As new leaders join the community, they bring new ideas, perspectives, and methods. Because organizers tend to organize for people like themselves, recruiting a diverse group of leaders is especially important — so that the community can take into account a broader spectrum of backgrounds, needs, interests, and lived experience. Most people are on board with the *idea* of a large, diverse leadership team but struggle with recruiting. And that’s not really a surprise! Not all organizations are as open to new leaders as ours, so even constant repetition that “we’re always looking for more organizers” at every meetup event might not result in people stepping forward. One way to make the recruitment process more gentle and perhaps less intimidating is to offer a gradual path to leadership. Many groups have found success with inviting people to help out with smaller, accessible tasks at first. Small contributions can lead to more complex jobs as the volunteer’s confidence and understanding of the group continues to grow. Community organizers, speak out! What can meetup members do to help your group thrive, which aren’t listed above? What does the path to leadership look like in your home community? Once we collect as many examples as possible, we can create a new Meetup Organizer Handbook page to share these suggestions with current and new Meetup organizers. Please share your ideas and experiences in a comment on this post! Speaker workshops. When folks start speaking, some go on to organize things. Worth mentioning that the workshops are good for not only diversity but also for general. @hardeepasrani suggested via Twitter: Help with supplies/equipment if you already have them, like a projector or recording equipment if needed.